Back and Red Plastic Earring Cards about 2 1/4 inches long by 2 inches wide. Sold in pack of 50. 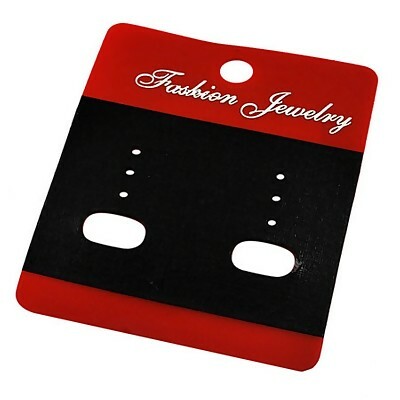 Fashion Jewelry is written on the card. All measurement are approximate.